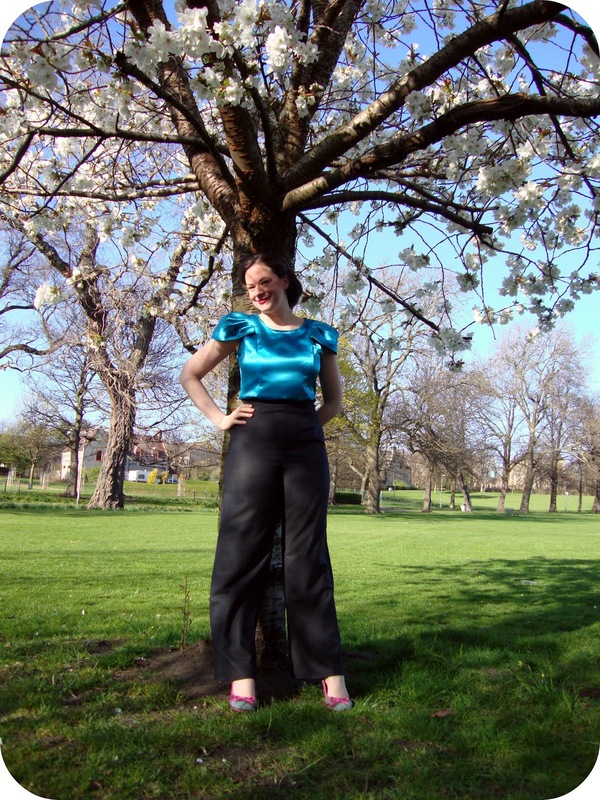 OWOP pattern: My new Simplicity 3688 black trousers made in a lightweight wool. These trousers have been cut out for ages, so I am happy that OWOP week served as incentive to make them. Black trousers go with everything and I am really happy with this pair! 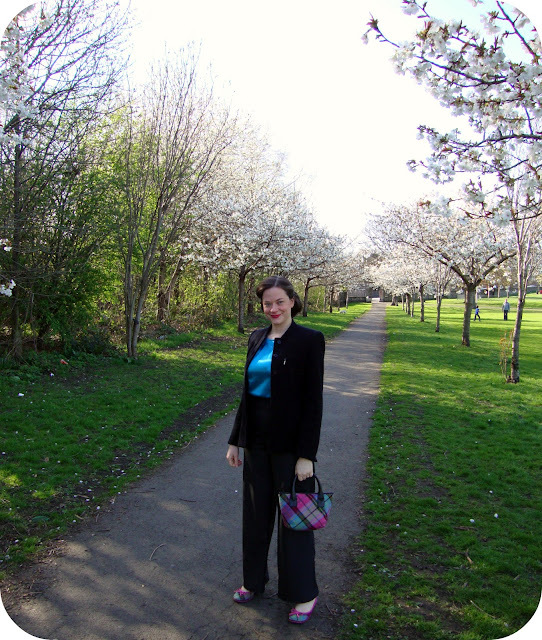 Styling: I wore my trousers with my teal Pendrell blouse, my ness wedges and matching purse. I also tried a new style for my hair (rolled in the back) and David says this is his favourite hairstyle on me! It started coming down about halfway during the day, so I'm going to have to get clever with securing it! YAY for OWOP week! I'll do a little recap tomorrow but I've really enjoyed it! OWOP pattern: Simplicity 3688 navy blue trousers made in a lightweight wool. First blogged about here. Styling: I wore my trousers with a blouse that my sister gave me as a present. 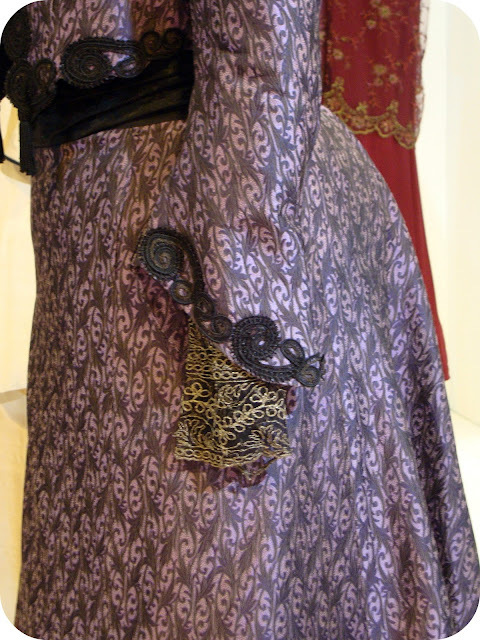 The blouse has a tie belt which I sometimes use in my hair but this time I wore it around my waist. OWOP pattern: Simplicity 3688 navy blue trousers made in a lightweight wool. First blogged about here. The name for this OWOP day comes from the fact that I can't get this song out of my head! Anyone else out there completely obsessed with it? 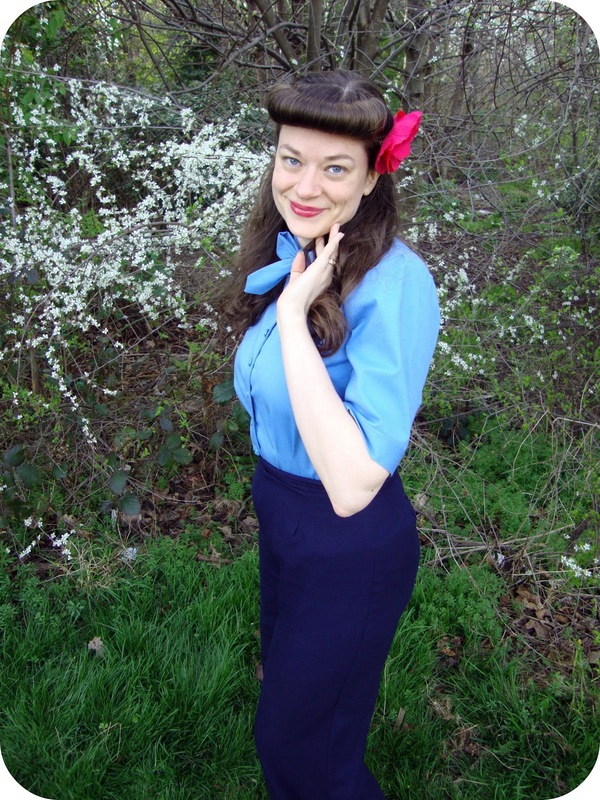 Styling: I wore my trousers with my most recent Betty Draper blouse I made from a 1950's Maudella pattern that was a gift from MrsC. I've been dying to try out rolled bangs/fringe for some time. When I came across Esme's tutorial, I knew I had to try it. So this is my first go! I really like it!! I still need some practice securing it as well as how to make sure the hair rat is fully covered. What I did: same as day three. 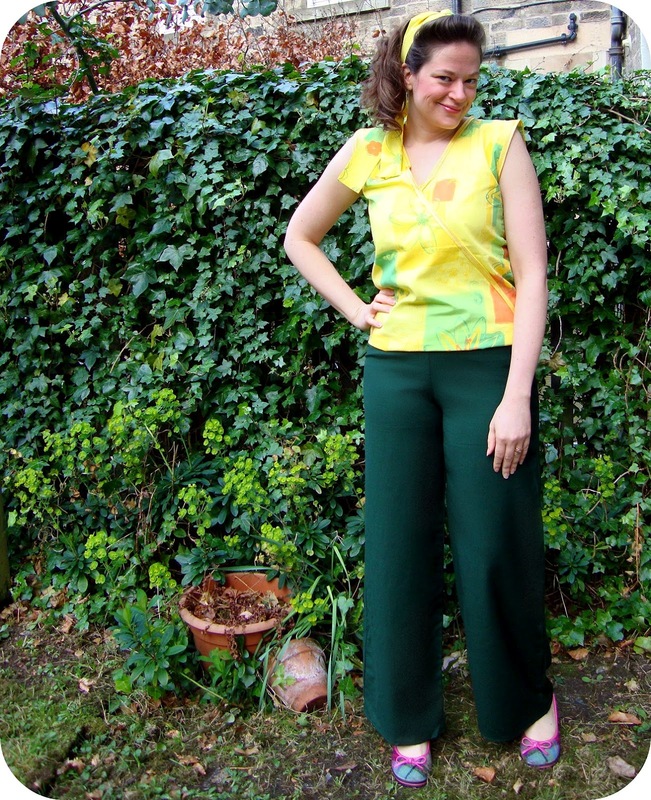 OWOP pattern: Simplicity 3688 dark green trousers made in a lightweight suiting material. First blogged about here. 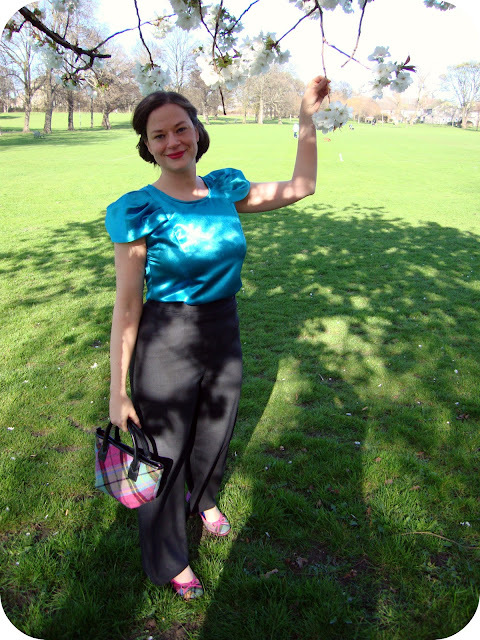 Styling: I wore my green trousers with my me-made 1940's sequined blouse (I LOVE this blouse) and my new brown 1940's shoes that I won in a giveaway from Q's Daydream Vintage (a gift certificate to Wildfeld Hall Vintage...woot! woot!). I'm really attracted to her masculine suits at the moment. I just love her strong style, which is also very feminine. 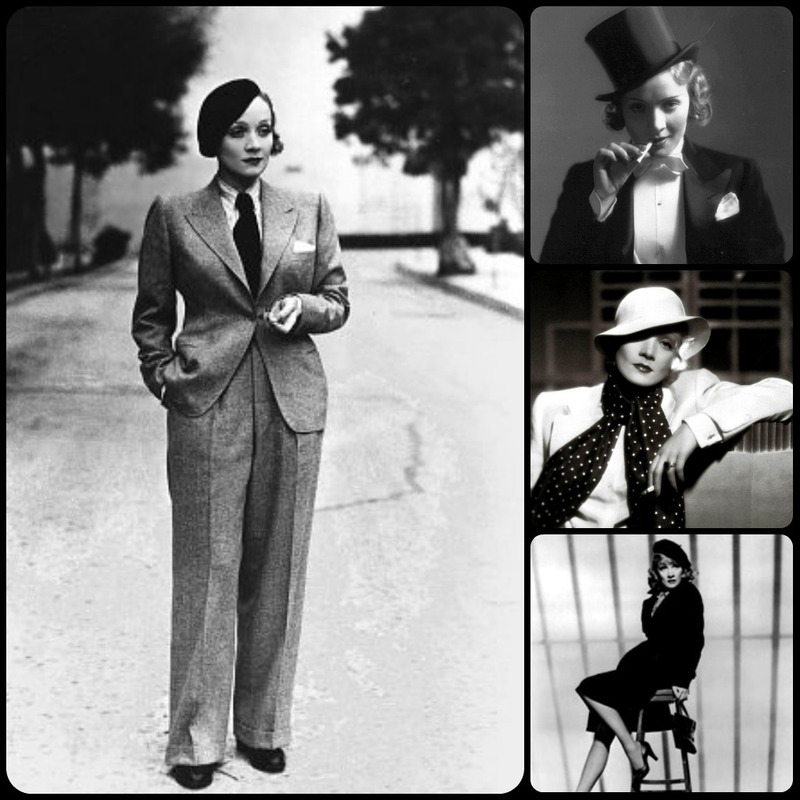 I'm hoping to sew something up as a tribute to Marlene....hey, I've already got the suit jacket done....but I better hop on it because summer's just around the corner and her style is definitely more suited (pardon the pun!) to spring/autumn. Tell me, are you a Marlene fan? Do you love her siren gowns or her masculine suits or both? OWOP pattern: Simplicity 3688 dark green trousers made in a lightweight suiting material. First blogged about here. These trousers are perfect for warmer spring days. Styling: I wore my green trousers with my very first me-made garment, a blouse from a 1942 Du Barry pattern, my favourite black cardigan and my Ness pink tartan wedge shoes. What I did: I went to work and then went out at lunchtime to enjoy the absolutely BEAUTIFUL day! My boss (who is Scottish) says that she doesn't remember ever having such a lovely sunny and warm day in March. Ever. It was almost 70 degrees (20 degrees Celsius)--that's like our summer weather! 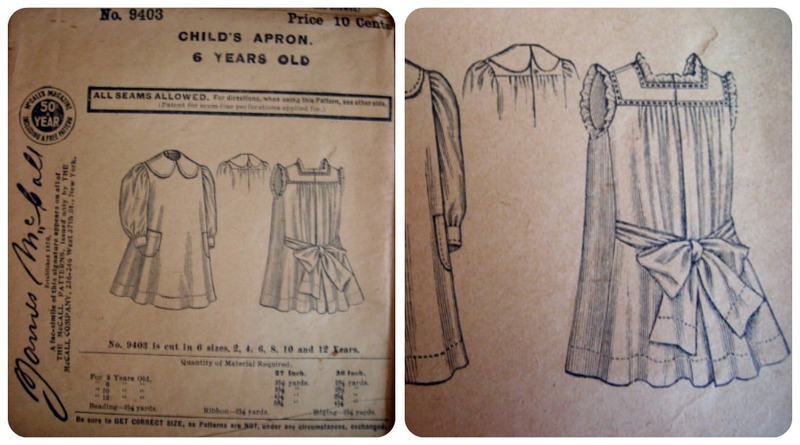 It's the 'One Week One Pattern' (OWOP) challenge being hosted by Tilly who blogs over at Tilly and the Buttons. The idea is to take a tried n' true pattern that you've made several times and wear those items for one entire week! It will be fun to get creative with styling my trousers throughout the week. So far, I only have two pairs but I'm hoping I can sew up one if not two more before the week is through! 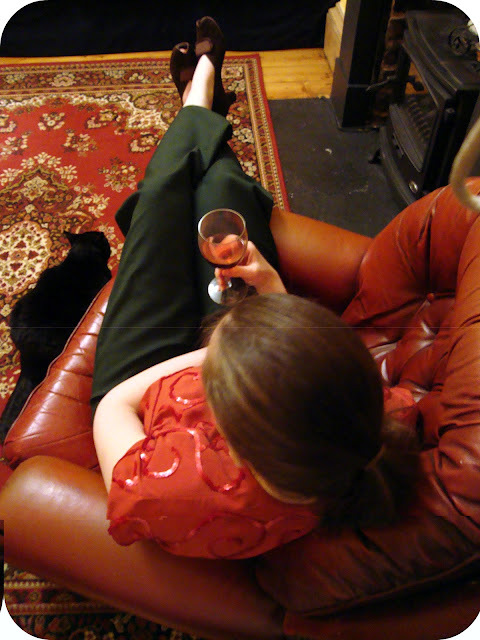 Styling: I wore my trousers with a blouse I made from Wearing History's 1934 pattern called 'Manhattan Melodrama' (originally a gown pattern that I made into separates). Made last February for Valentine's Day. I accessorised with a vintage navy handbag. Styling: I wore my green trousers with my pillowcase faux wrap blouse and my Ness pink tartan wedge shoes. Instead of tying the belt around the blouse, I wore it in my hair and tried to do a sort of 60's vibed hairstyle. 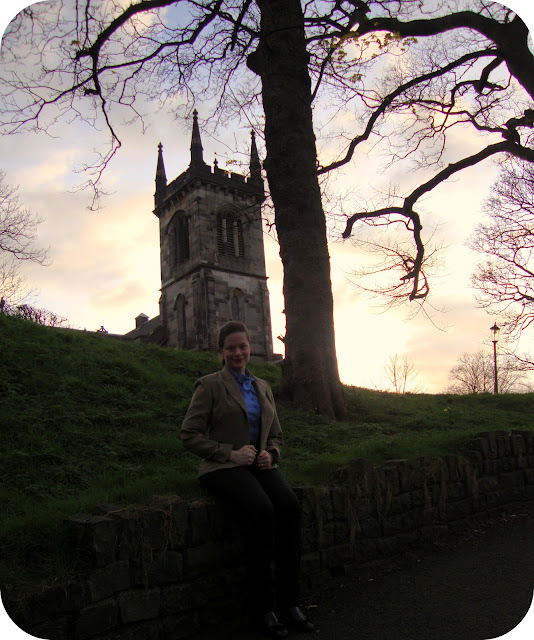 What I did: Not a whole lot! It was definitely a lazy Sunday with some time spent outside and some time spent sewing! Are you participating in OWOP? First, I wanted to thank all of you for your prayers and thoughts for Kal who went missing two weeks ago. I've just received good news today! She was found safe and well in Cornwall. I don't know the details yet but I'm SO RELIEVED! 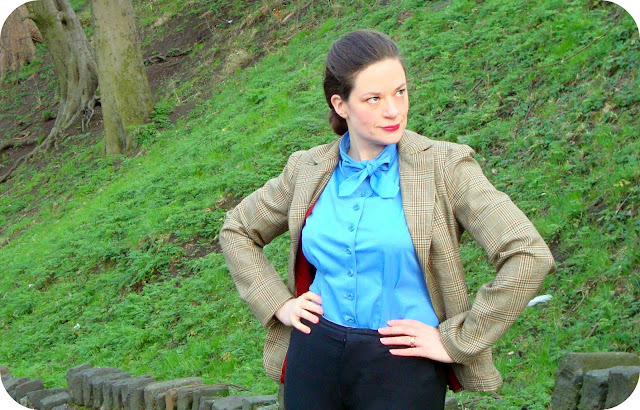 In other good news...I finished Betty's riding jacket and bow-tied blouse and it's featured today over at The Sew Weekly!! First, let's talk about this blouse. I LOVE this blouse. I got this pattern in the post as a gift from Mrs C who blogs over at the Hectic Eclectic as a little thank you gift for the Sew Grateful week (how sweet is that?) 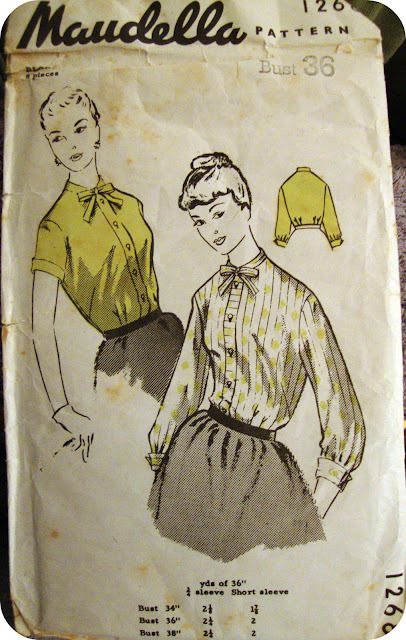 I must say that I actually gasped when I saw the pattern because it was Betty Draper's riding blouse--a perfect match! I had been searching high and low for such a pattern. Can I just say that I might be in love with Maudella patterns? This was a superbly drafted pattern and was very easy to sew up. The pattern itself is unprinted and the only instructions are all in text printed on the back of the pattern envelope. Surprisingly, I found the text only instructions easy to follow. The only tricky part was that pattern pieces didn't have numbers, instead they had names. So at one point it was a bit confusing as to which facing pieces belonged to which sleeve version! 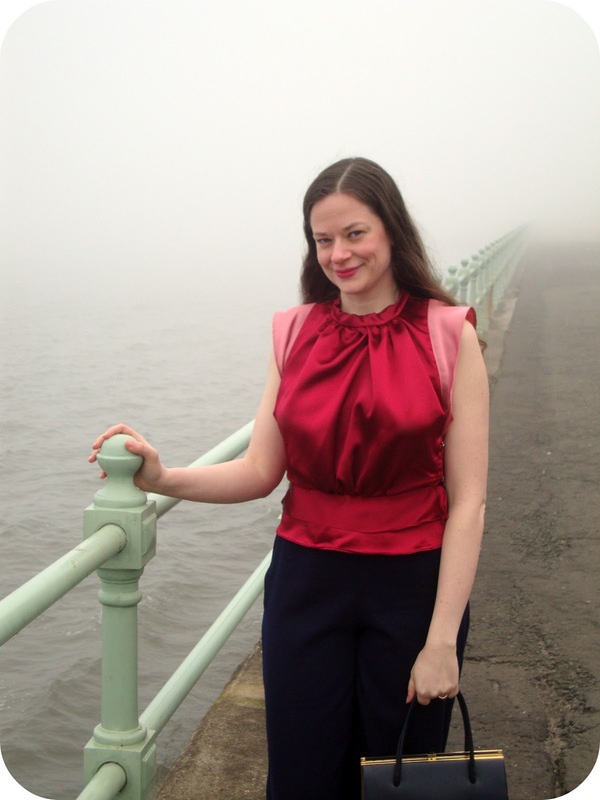 I made the blouse from a nice weight blue cotton sateen. I had the exact matching buttons in my stash as well! I really like the shape of this blouse and it goes perfectly under a tailored jacket. Now onto the jacket. 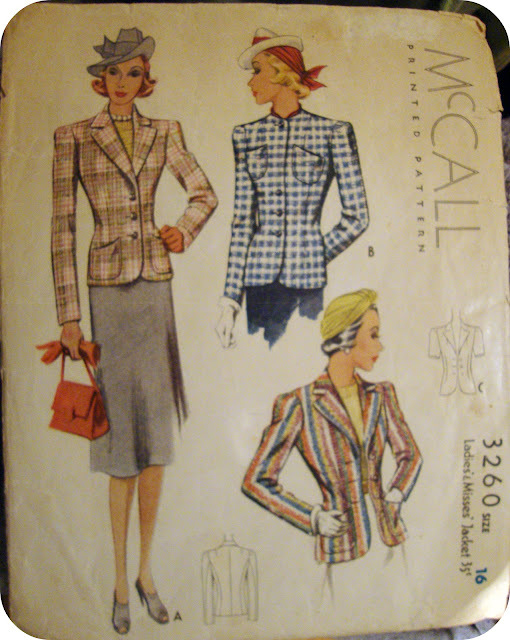 I used McCall 3260 which is a pattern from 1939. I love how this pattern transcends time and looks almost modern. It features a notched collar (or a collarless version), neatly shaped front pockets, a pleated sleevecap and a fairly straight sleeve. The pattern instructions are very complete and include instructions on interlining the facing and collar (which I did with muslin), using tailor's tape as well as lining instructions. I didn't have any tailor's tape so I just cut thin pieces of fusible interfacing and placed it just inside the seam line all the way down the front facing of the jacket and also in the collar. And wow, what a difference that makes to having a crisp edge. 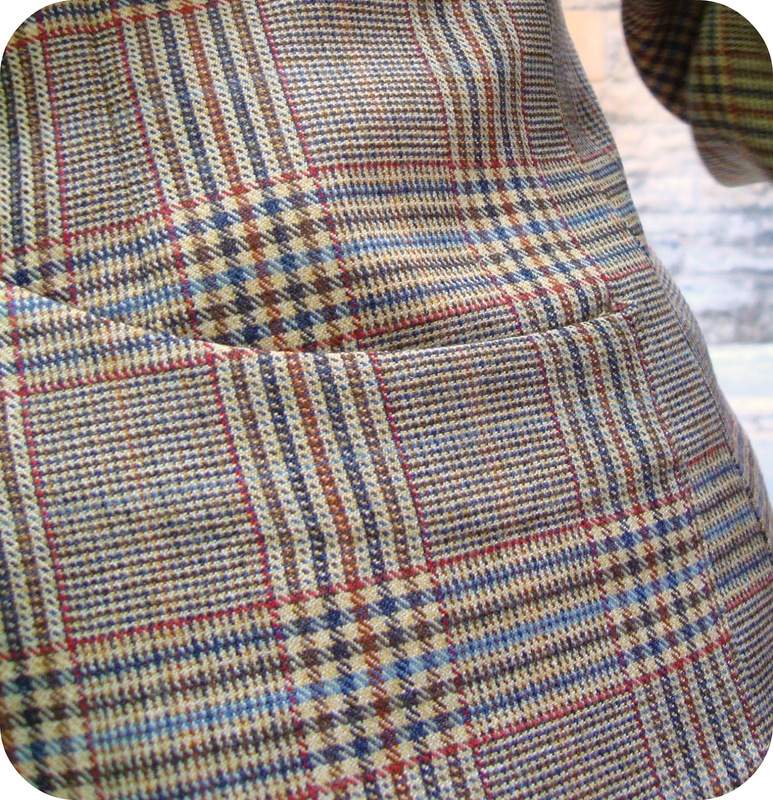 I didn't use interfacing anywhere else in the jacket as per the pattern instructions. I forgot to mention the fabric. 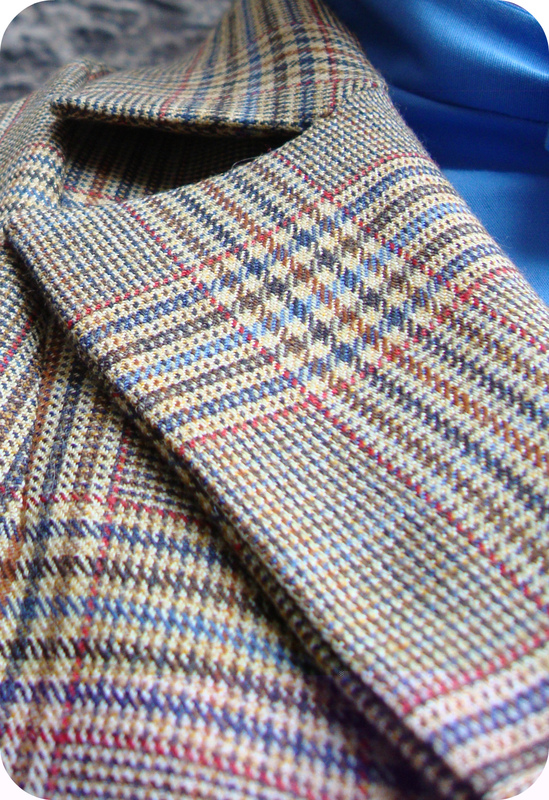 This is a British lightweight wool that I got on a super sale at my local fabric store (with a groupon voucher no less). I LOVE this fabric. I was very careful in cutting out the fabric to try and match up the plaid stripes. Can I just say that I love the shape of the pockets as well--a neat crescent shaped opening at the top of an otherwise normal patch pocket. Topstitching pockets always makes me nervous, though! I lined the jacket with some remnant mystery fabric that I got in San Fransisco (when Mena introduced me to all her crazy amazing fabric haunts) for $1. I believe it is also some sort of sateen. It's not your normal lining fabric and has a medium-hand. I really like the structure it gives to the jacket. I also forgot when I was inserting the lining: a) how much time it takes to hand sew it down, and b) how you need to leave quite a bit of ease in the lining fabric. What about you? 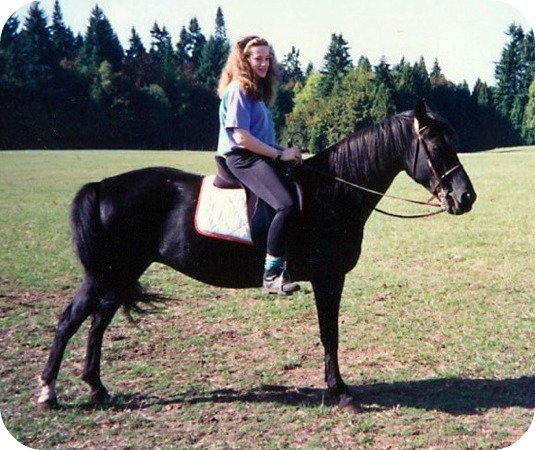 Horse-lover or scared to death of horses? 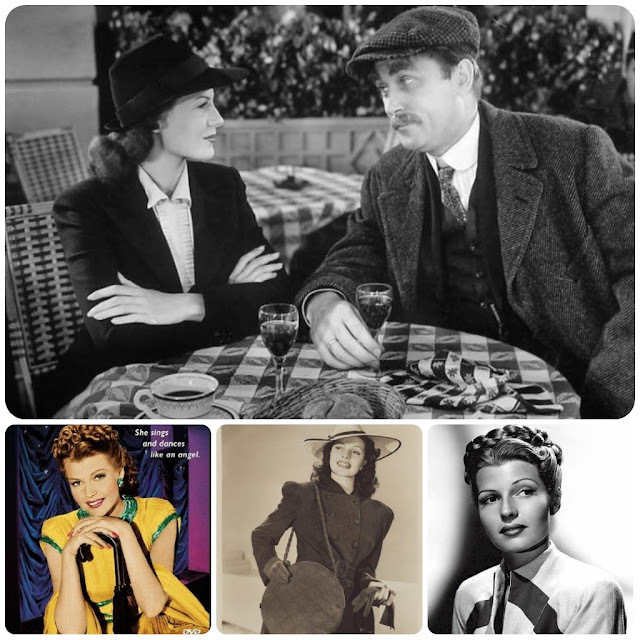 You may recall that the Sew Cinematic challenge I'm participating in includes both creations inspired by the silver screen but also television! 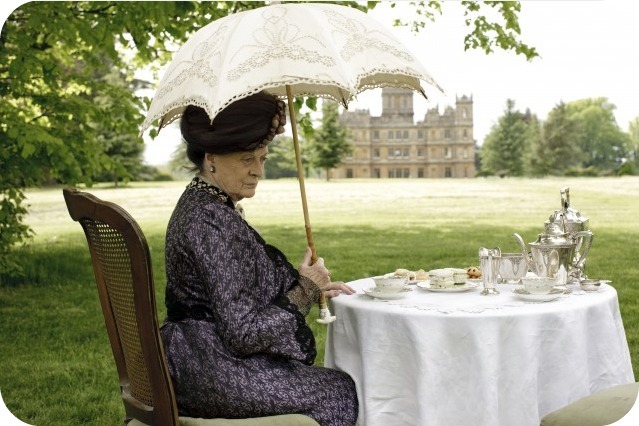 Which is a good thing because there are two TV shows that have our little community all abuzz--Mad Men and Downton Abbey. 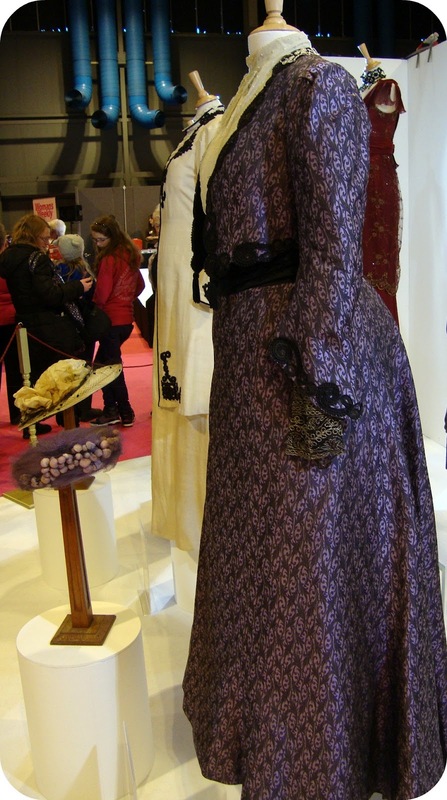 I LOVE both and I hope to create an outfit inspired by each of these great period dramas. 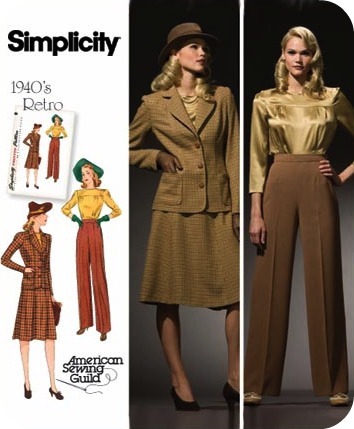 There's so many outfits from Mad Men that I would love to recreate and that inspire my sewing. So I thought I would share the outfit that I've been working on lately. This outfit is one that I just couldn't get out of my head and have been thinking about sewing for ages. 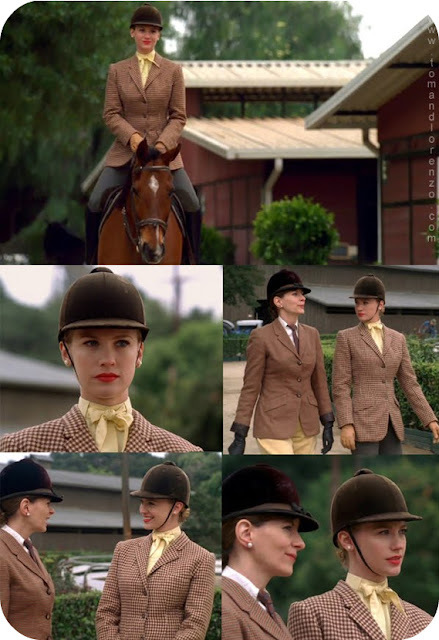 I've been in love with Betty Draper's riding outfit forever. I know many of you were expecting a Joannie dress or one of Ms. Menken's killer suits, but honestly it's this simple ensemble of tweed jacket and formal yet feminine blouse that gets me every time! 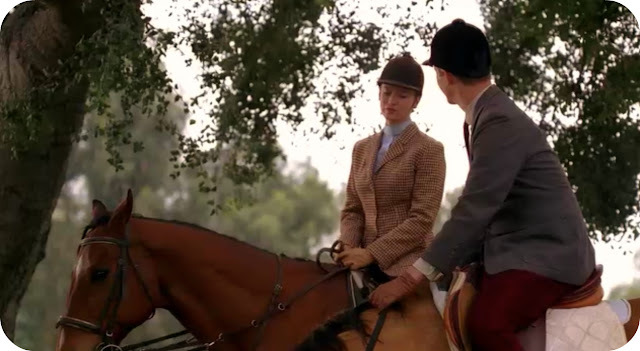 I love Betty's riding jacket with the notched collar, tweed wool fabric and slightly longer length. Maybe it's because it reminds me of the tweeds in Downton Abbey or from Ralph Lauren's recent collection that I posted about here. There's something about this classic jacket that is screaming that it needs to be in my wardrobe. What about you? Are you working on a Mad Men creation this week (for the Sew Weekly theme or Julia Bobbin's Mad Men Dress Challenge)? 23 March 2012 UPDATE: Thank all of you for your prayers and thoughts for Kal who went missing two weeks ago. I've just received good news today! She was found safe and well in Cornwall. I don't know the details yet but I'm SO RELIEVED! 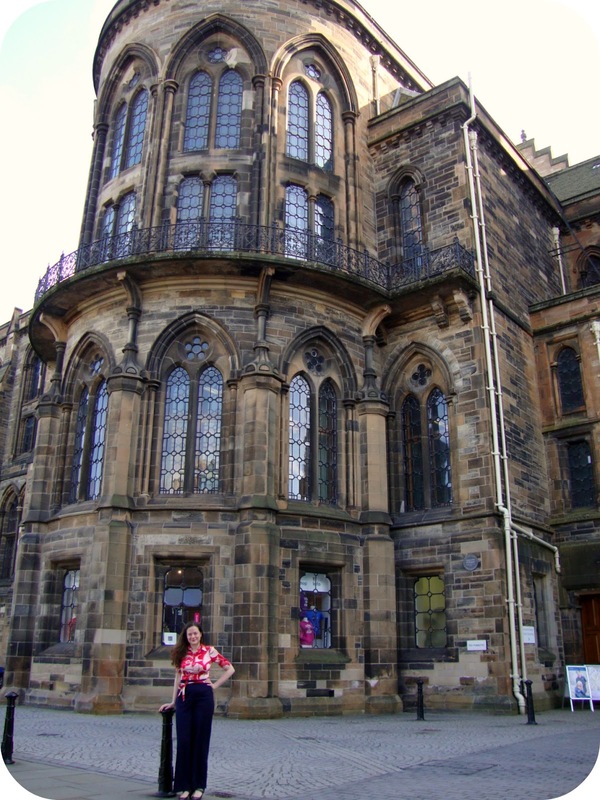 I've just heard that Kal, the owner of the new Edinburgh Sewing Bee Cafe has gone missing. 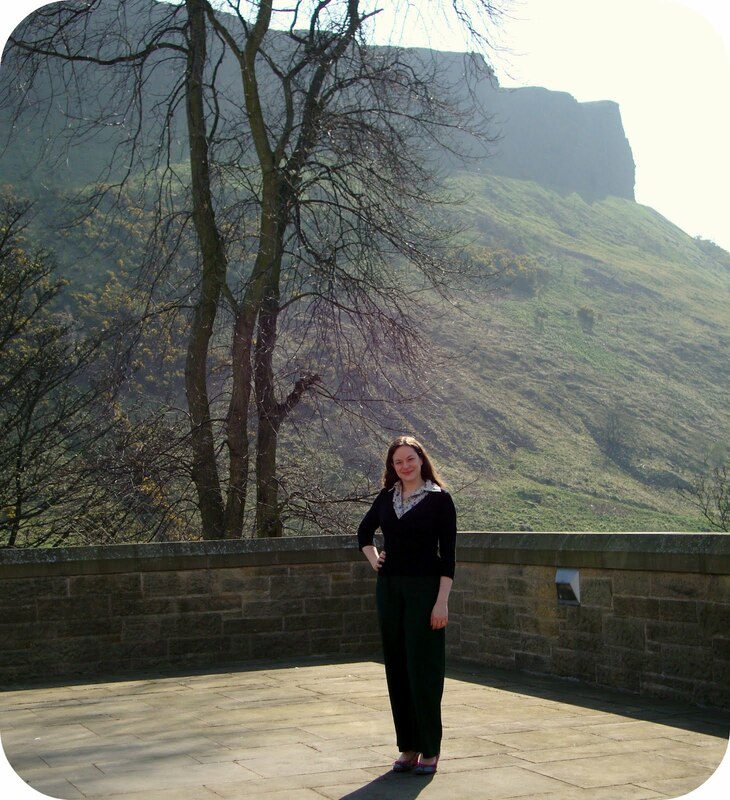 She was last seen on the 7th of March and the Lothian and Borders Police are actively searching for her. 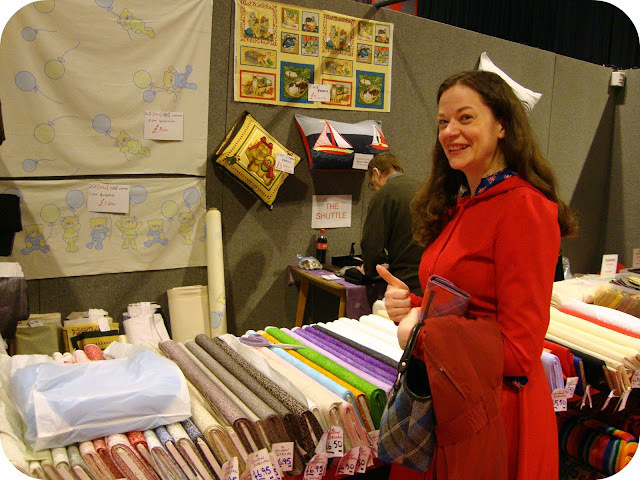 Those that attended the Crafters' Ceilidh meet-up back in January will remember Kal as our lovely host for the pattern and fabric swap. 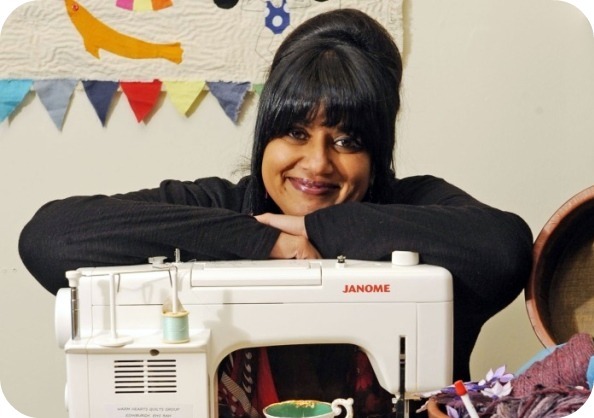 She spoke to us about her plans for the sewing cafe and for engaging the community and graciously offered us the use of her space before she was open (and even brewed us all cups of tea). I am really devastated to learn of her disappearance. Can you please say a prayer/offer up your thoughts she will be found soon alive and well? If anyone that has good pictures of Kal from the meet-up can you send them to me? They might be useful to the police as the last picture of her is the one above taken in November. When I was first thinking about what I wanted to sew for the Sew Cinematic Challenge, all I could think about was Rita Hayworth and her fabulous outfits (all the photos from here). 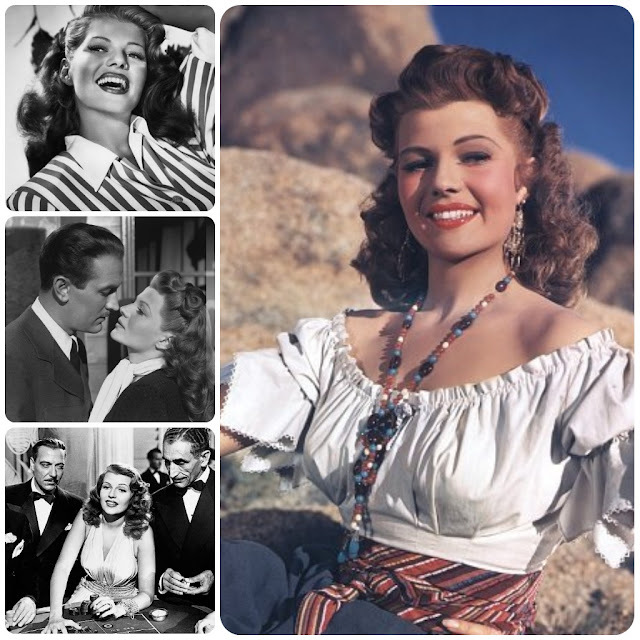 All of my favourite movies have Rita in them (Cover Girl, You were Never Lovelier, Gilda...among others)! I just love her sense of style. Perhaps my favourite Rita outfits are the fabulous gowns that she wears! 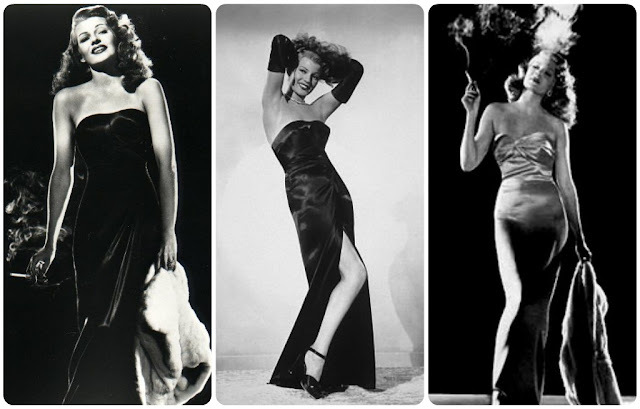 I HAVE to make this gown (from the movie Gilda) and I have the perfect event. David is graduating from his Master's programme this June and they are having a black tie ball. How fun does that sound??? This dress would be perfect for just such an occasion! I'll be sure to do lots of posts on the construction process. 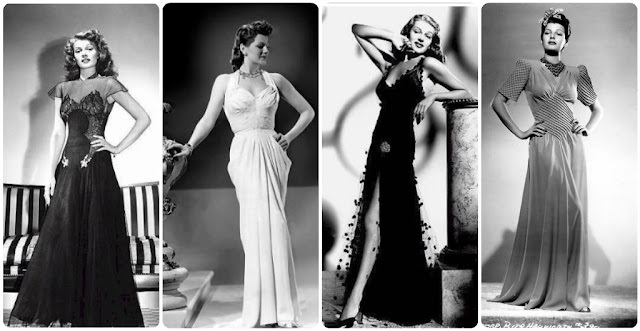 I'm already thinking of using Gertie's bombshell dress for the bodice of the gown! I'm doing the version of the gown pictured above (sans the big bow). This will probably be the last of my Sew Cinematic creations but I had to share my plans for it first because I'm so excited!!! What do you think? Would you wear the Gilda gown? Which one of Rita's other outfits do you love the most? 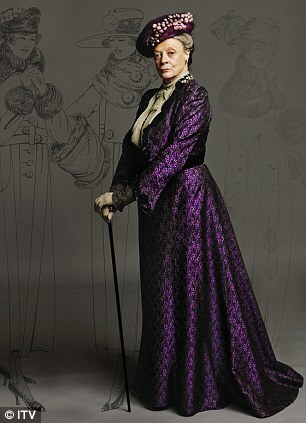 Glad to read that so many of you are just as excited about Downton Abbey costumes as I am! 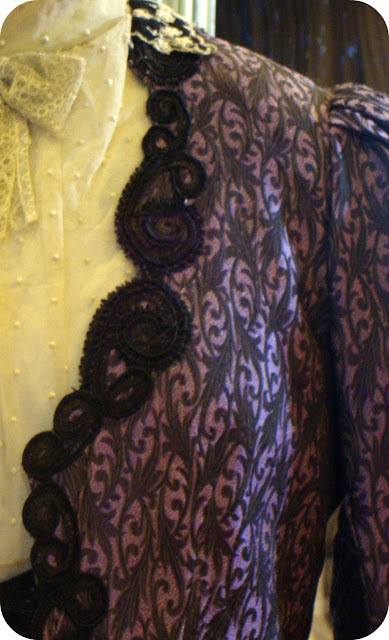 This is the first in what I hope will be a series of costume close-up posts. 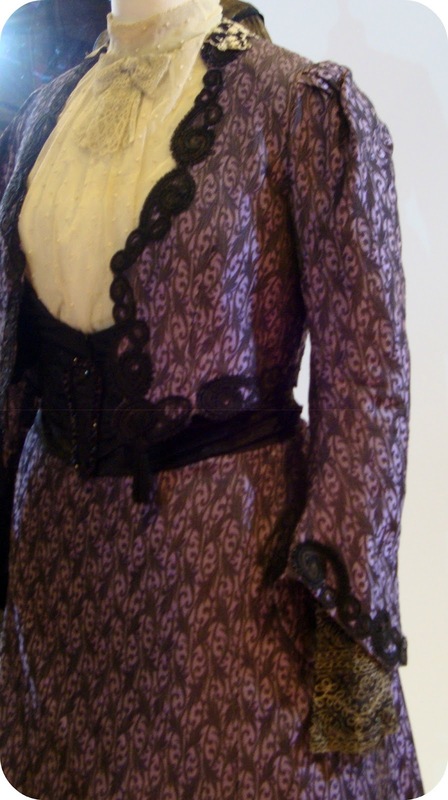 Probably one of the most iconic costumes in the first season is Violet's purple suit. 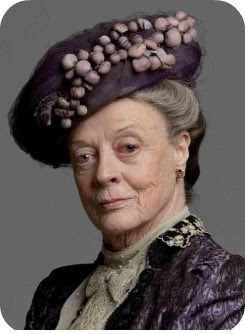 I definitely think the Dowager Countess is my favourite character. I always look forward to her witty banter and fabulous expressions. 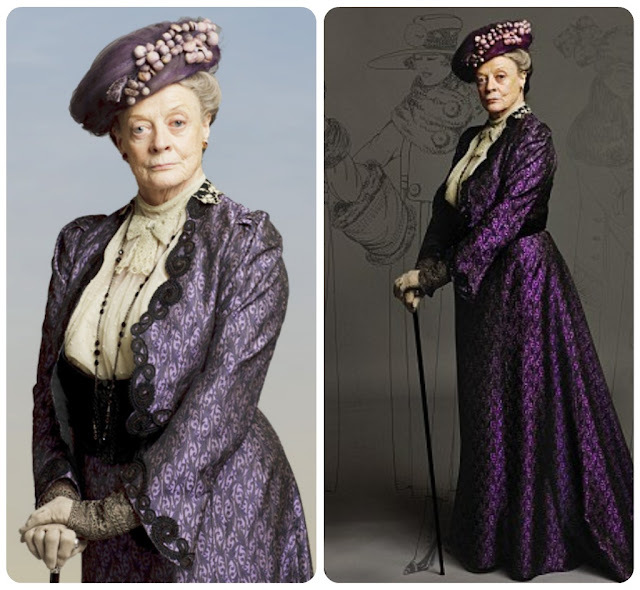 Dame Maggie Smith really is a star! 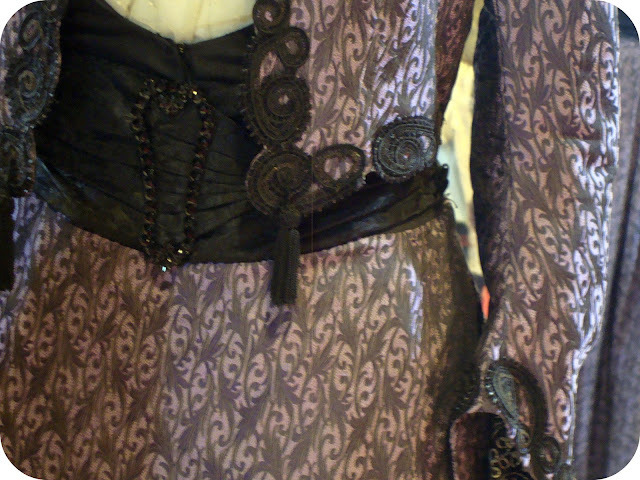 I immediately noticed several things about the blouse by looking at the close-up. 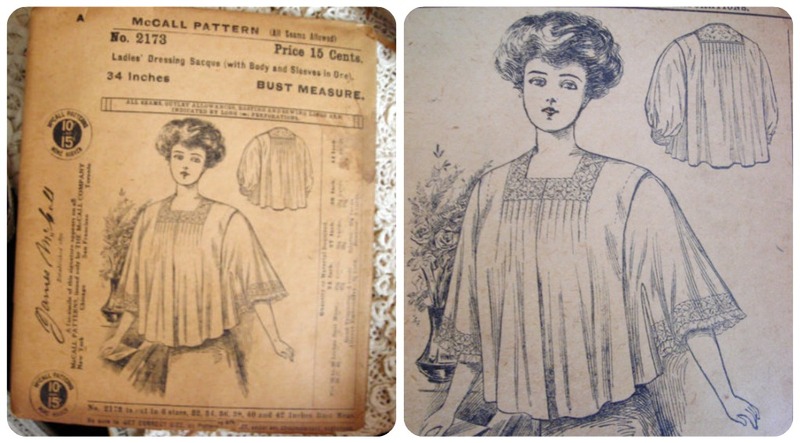 It appears the bodice is gathered to the neck band in a sheer dotted swiss (or voile?) fabric. 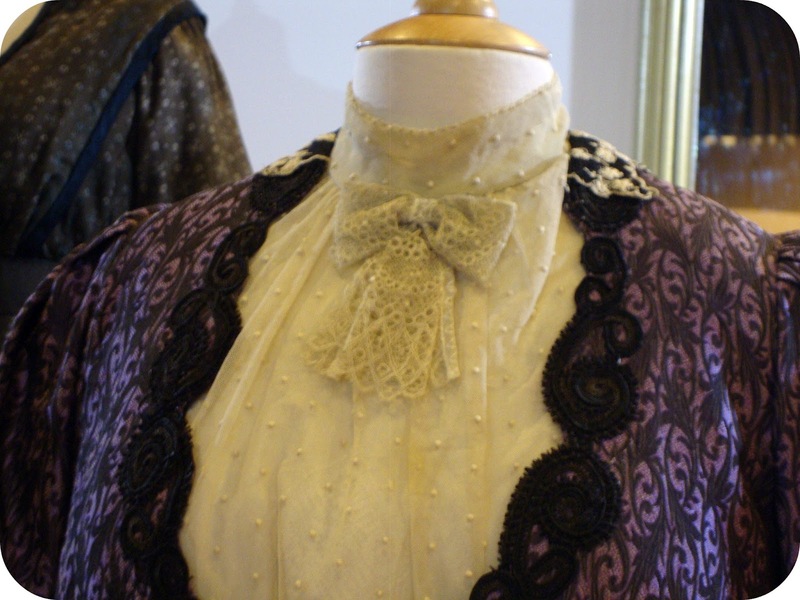 The lace bow appears to be separate and simply fastened onto the blouse at the centre front. The jacket features black coiled trim along the outside and beautiful pleated sleeve caps. One interesting thing that I didn't notice until I looked at the pictures is that there appears to be a collar in black with cream flower shaped embroidery (?) and scalloped edges around the neck. Do you see it? The colour on the left is a much better representation of the actual costume than the one on the right. It appears to be wrapped? I think the belt buckle is just for decoration and that the cummberbund closes via hook and eyes or snaps (can you see there is one at the top of the cummberbund that is slightly visible?) The belt buckle itself is in a sort of elongated heart shape and is quite large. I also love that we can see the trim on either side of the jacket has a small tassle! What do you think? Do you love this dress? 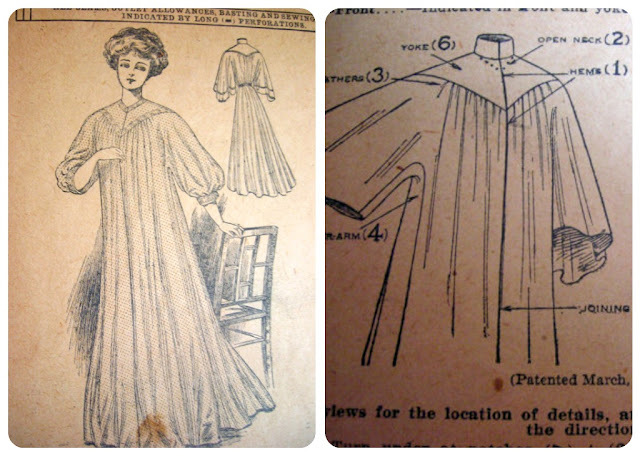 What about some of the design questions (blouse construction, cummberbund closure, suit material, hat material, etc.)? Do share! I'm just loving the James McCall logo on the side of the pattern envelope and all the directions printed on the back. The next pattern is McCall 2173 for a lovely bed jacket. Don't you just find the drawing of the woman mesmerizing? Again, this is from the early 1900's. 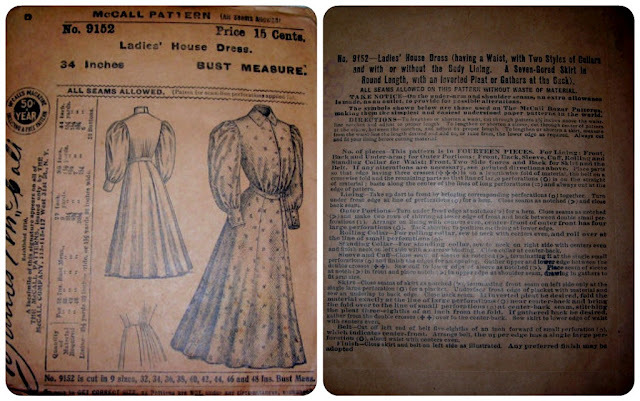 The pattern says 'patent applied for', which I find really interesting! The next pattern is a similar one but for a nightgown (McCall 2205) and it says: 'Patented, March 1908'. Which makes me think the previous one is from either 1907 or 1908 based on the pattern number. Which means this would match the pattern leaflet from 1907 that I posted about in January which had the guide for all the notches on the patterns (that Lauren from Wearing History kindly scanned for me). Aren't these great? I just love seeing patterns from this time period that are still in good condition. Which one is your favourite? 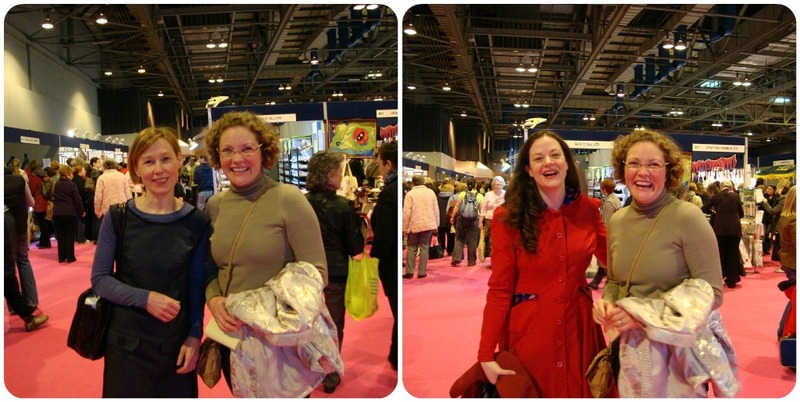 I had the best time yesterday at the Creative Stitches exhibition in Glasgow. 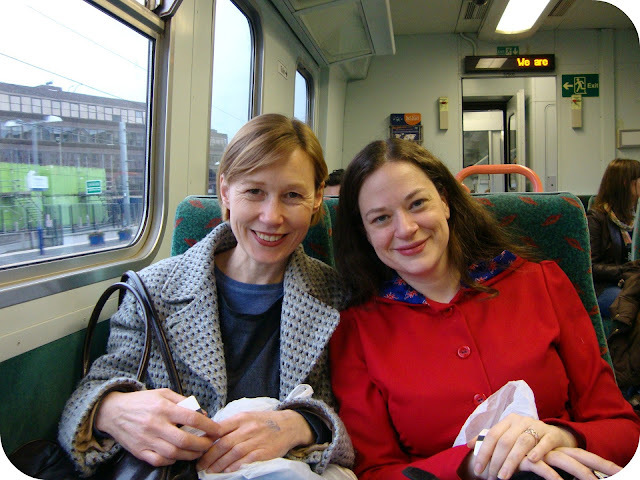 I went with Kate who runs a lovely Etsy store called Wee Red Suitcase and Rachel who blogs over at The Crafty Traveller. You can get a sense by looking at the photos above of the size of expo. It was full of stands selling yarn, fabric, patterns, other craft supplies such as beads, ribbon, etc. I just love the story of The Owl and the Pussycat and it was great to see how someone made it into a quilt design! 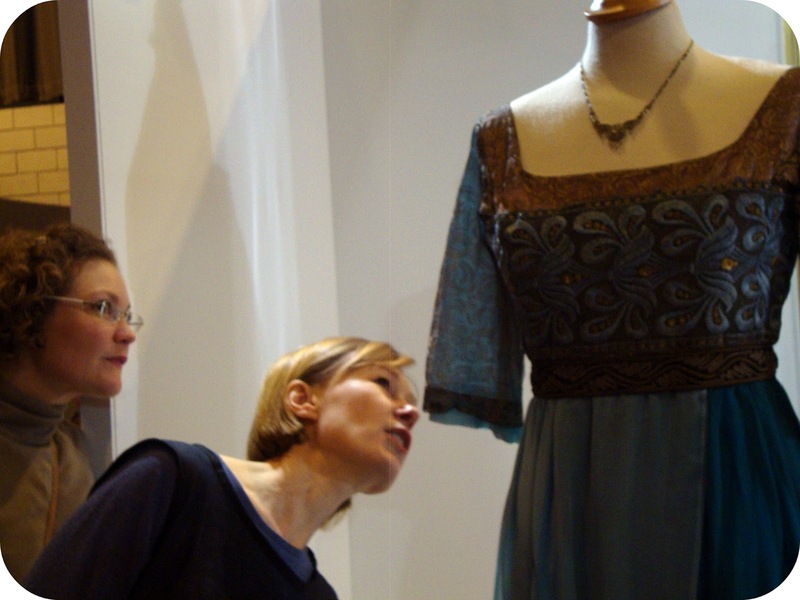 Though hands down the best exhibit was the showcase of dresses from Downton Abbey. I was very happy that we were allowed to take pictures and I took way too many! 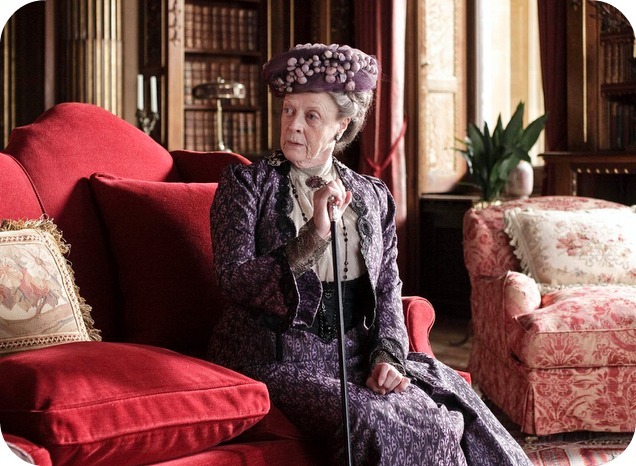 Expect to see several posts with detailed and close-up shots from some of my favourite outfits from the first season including the Dowager Countess' purple and black suit, Lady Sybil's harem pants suit, Lady Mary's burgundy gown, Cora's cream suit with black braid trim, Lady Edith's white dress and Mrs. Isobel Crawley's black dress. ...examining all the seam and contruction details! Thanks ladies for the fabulous outing! 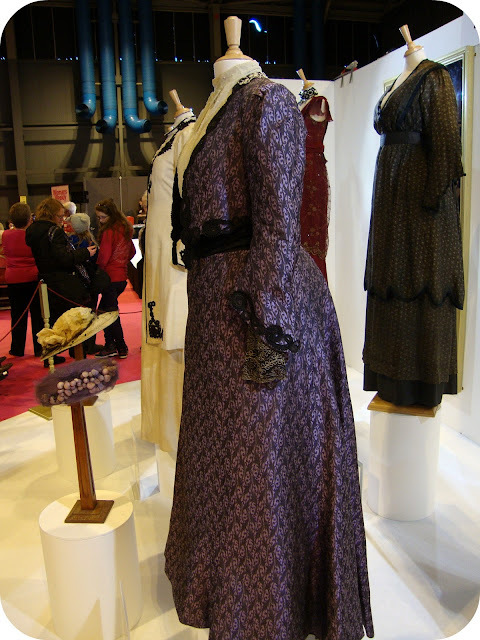 Stay tuned for some more posts of the Downton Abbey dresses!